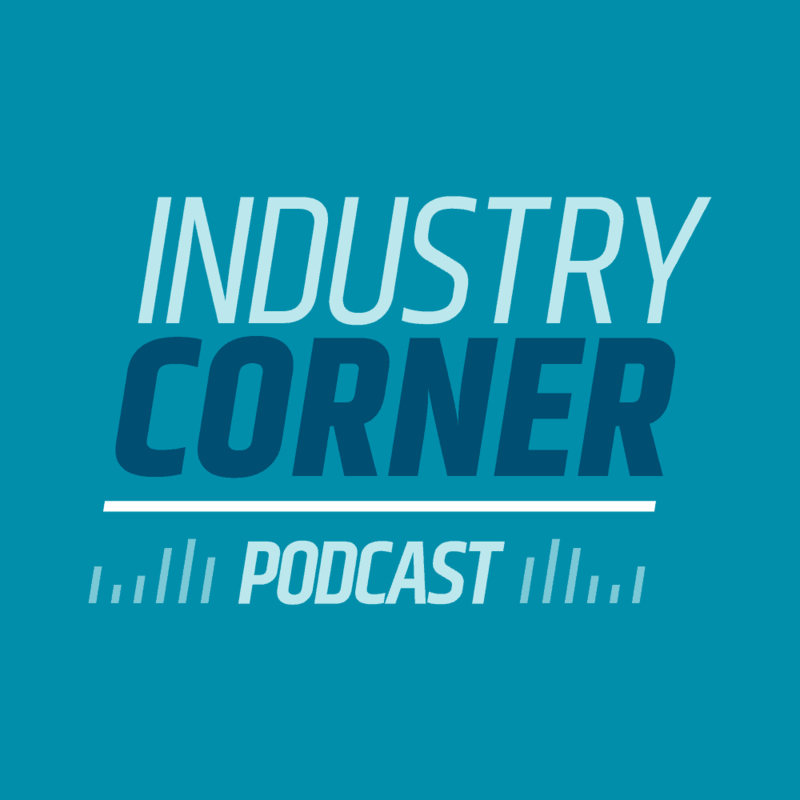 Anita: And I'm Anita Pursley, welcome to Industry Corner, a podcast where we share postal industry news to help you stay informed. Chris: On today's podcast we talk about the 2019 planned price changes, including some expected changes as well as unexpected changes, and perhaps some signals to the industry. We'll also talk about the much anticipated 2019 promotions, so let's get into it. Hi, Anita, welcome to the podcast. Anita: Thanks Chris. How are you today? Chris: I am doing great. Thanks. You know, it's an exciting time right now. We just got the proposed price changes for 2019. Those newly confirmed board of governors really wasted no time getting to work. Did they? Anita: No kidding. There was a really short period of time for them to get up to speed. Chris: Well that's great. I'm glad that they did that, you know, 166 pages for all of us to read over the weekend and I'm sure you were reading through it like I was as well. Anita: Yeah, I'm not sure I read them all, but I had the advantage of going to the PostCom board meeting this week and so I was able to hear from the very large mailers how this is going to impact them so I can share some of that information today. Chris: Well that's fantastic. Well why don't we jump right into it. So what were some of the things that you're hearing, because I know that time is short here, the prices are supposed to go into effect on January 27th for both market dominant and market competitive. What are you seeing Anita with these changes? Anita: Well first of all, this is not a plain vanilla increase like we were led to believe and I feel partially complicit in telling our listeners that that's what we were expecting. But so it caught us by surprise. It's roughly 2.5% on average by class. They, it was the 2.419 CPI and then they had a little bit of banked authority for each of the classes. On the market dominant side, there aren't any structural changes, but there are some wide variances in impacts in each rate scale. So I think there were some unintended consequences, unfortunately. In fact, I have to say this right off the bat that uh, one of the mailers at the PostCom meeting, said, “rate cap don't mean crap in marketing mail”. So yeah, I'm so unfortunately many mailers who budgeted for 2.55 may see much higher increases and you know, if it's in the budget they might have to lower their volumes. So that's the unintended consequence and it's definitely the downside. Chris: And that nickel increase, that sets a precedence doesn't it? That the post service wants, all those consumer facing prices to be in nickel increments. Anita: Right? Exactly. That was a surprise to me. Chris: Intentional by the board of governors, but to your point, unexpected by the industry. Right? Anita: Exactly. So what they did then was they took the second ounce and dropped it from twenty one cents to fifteen cents, and so some of the heavier first class pieces like flats, they'll probably see a decrease in postage by as much as 11 percent. So that's quite a swing. Chris: Okay. So the net effect, if I'm mailing more than two ounces, two or more ounces for first class pieces like that, it's really not a 10 percent overall net increase. There's an increase, but that's how they balance that out so they can get into these nickel increments. Right? Anita: Exactly. Now, one thing I should warn our customers is that if they increased it five cents in this rate case, and let's just assume that we're going to stay under a price cap regime, that if the postal service decides not to raise the stamp price next year, then that means the entire CPI gets adjusted to those ones that didn't get. Chris: Alright, I get it. Okay. We'll have to watch what happens in 2020 and beyond. What about marketing mail? Anita: Okay, so that's where the biggest changes were. Again, you know the average is 2.5, but you will see a lot of consternation among mailers, particularly high density and saturation mailers and one of the things that Sharon Owens, who was one of our presenters at the PostCom study day, said was, “How do you improve your revenue picture under a price cap regime?” And so the answer to that is to hit something that is growing and because of all the co-mail and co-mingle opportunities out there, the high density saturation and high density plus are all getting really hit hard. In fact, Donna Hanbery, who represents the saturation mailers, she pointed out that some of their rural members will see increases three times the CPI. Chris: Oh my goodness. Wow. Anita: Yes, and Sharon did seem a bit surprised by that. She wasn't really focused on how difficult it is for them to fill full trays because what she explained to us is that there's really no cost avoidance in saturation letters because it's more costly for them to have a 125 piece tray than a full five digit tray. So what high densities is doing is it's driving more trains than they need. Chris: Oh. So it's. Okay. So, and again, Sharon Owens, for our listeners, is the vice president of costing for the postal service. And so knowing that, and I think that's important for people to understand. So from Sharon's perspective, she's looking at the handling costs right from the postal service with all of these trays and the additional handling part. So I'm sure she's taking that into consideration. Plus the fact that, you know, let's face it from a business aspect, if I see that people are really latching onto an item where there's high demand, right, then it's, that's the whole supply and demand curve with that, there's a high demand with that. Then typically prices are gonna go up with that. But you know, it's interesting, Anita, that you talk about saturation mail and the potential impact on it. I've seen a lot of saturation mail activity I would say indirectly through DSF processing, the delivery sequence file processing, BCC Software is one of the direct licensees for that data set and so we've seen a really big increase over the last 12 months. I've been watching this closely and there's been a lot of saturation mail. I initially attributed some of that to political mailings, which we've certainly seen, but I'm seeing it in some other areas too, so it'll be interesting to see as we go forward, what this pricing signal is going to send to the industry, particularly when we're seeing a lot of saturation mailing, a lot of DSF processing. Anita: Right. Well, so it gets even worse than we anticipated that the drop ship discounts for SCF letters would be decreased because of the previous overstatement of the cost avoided, I think is the way Sharon put it. So they've committed to the PRC that they will shrink the discount by 10 percentage points until the cost avoidance equals the discount that Sharon said that they are going as slow as possible and lowering this discount. She also said that they're monitoring their transportation costs and then the industry reaction to this and that's what everybody's been saying is, hey, you know, people are going to start going to the NDC and you know, Sharon mentioned again that they have overcapacity in their transportation, so it's looking more and more likely that drop ship letters, we might be taking them to the NDC. Chris: Okay. And then of course that's going to impact the service. So it'll be interesting to see the balance right between the market reaction, the service performance schedule. There's a lot of stuff going on here, so you're absolutely right. There's many, many different variables and factors in what on the surface we thought it was going to be a pretty basic price adjustment. There's the old saying, the devil's in the details in the 166 pages are certainly there. Anita: Well, I have to go even further. There's so much in marketing mail. This was a surprise to me and I think Sharon said it on the the industry Webinar last Friday or maybe she said it at PostCom, but nevertheless she said that they'd been over incenting drop entry of flat shaped mail as well. So she said that they modified their understanding of drop shipping by including the pound rated flats. Are you kidding me? And so what this means is that in fact, I think the example she gave was an eight ounce flat could see an eight percent increase and the most common category is a five digit SCF flat and that I think is going up 3.5%. And the problem with all of this is that because we were led to believe plain vanilla, 2.5, that's what everybody budget, right? So I think it's really going to cause a lot of problems within the industry. Chris: We may see a lot of transportation plans and drop ship logistics schedules changing as a result of this. I would imagine that in certainly fuel costs and things like that go into the factoring as well. So That's interesting. And again, back under the umbrella of unexpected changes. So we'll have to see what happens with that going forward to be sure. What about some other market dominant classes of mail and anything specific you're seeing there, Anita? Anita: No, periodicals was pretty expected. It was between 2 and 2.9% for the top 100 publications, apparently they have a model and they run these profiles through their model to try to understand the impact. The class as a whole is underwater. They don't have a lot of options for corrective action, but what they did do was they increased the price of bundles, sets, and pallets so that they can encourage operational efficiencies. So what we're going to see there is the heavier publications are going to see a lower than average increase and then unfortunately the lightweight low circ pubs, they're going to see a higher than average increase. Chris: That's interesting too as page count and things like that start changing. And we see some of these smaller volume subscriptions for periodicals, you know, again, very targeted, very niche type of periodicals. It'll be interesting to see what the impact is going to be like that on that particular class of mail. I understand there were some really unexpected things in the market, competitive classes of mail as well. What were you seeing or hearing about last week on that? Anita: That was something that I wasn't concentrating on because I typically look at market dominant in the competitive arena. The postal service did have some structural changes. They've introduced dimensional weight pricing for priority mail and zone, right pricing for first class packages. So, um, so there was a lot of consternation again in the industry for those mailers, I guess who have their own software that two months is not enough time to program for this and it's going to require resources and at this time of year most companies have IT blackouts. Chris: Yeah, that's true. So two thoughts on that. First of all was zone rate pricing on the first class parcels like that. That's interesting. I think you and I have talked for years about the fact that if I go from say Buffalo, New York to Chicago, there's a cost to do that. If I go from Buffalo, New York to Denver, there's a higher cost to do that. And yet in some cases the postage might be the same or the discount might be the same. So I can understand I guess on the surface why introducing zone pricing might make sense in terms of at least getting a true cost coverage consideration with that. But I certainly understand the concern from the industry, particularly those that are writing their own software about that window of time. I'd have to say in response to that though, Anita, I mean, that's, you know, welcome to our world, right? Chris: You know, the software industry for the mailing industry or the software portion in the milling industry has always had to face this challenge, particularly at this time a year in fact are the folks here at BCC Software will often compare me to the grinch because, you know, they're asking for time off during the holidays, during the holidays is kind of tough because we've only got that short window of time to develop the software. So, we can talk a little bit more about that because it's not just the postage rates that's at hand here, but we have some promotions in there too, right? Anita: Right. And they did do what they promised and that they're proposing a full slate of promotions. I'm the exact same ones that they had in 2017 with the exception of informed delivery. They're pulling that out as a separate promotion by itself and then they're bringing back the earned value. And of course mailers are saying, okay, so what is the threshold that I have to meet? Because we didn't have earned value in 2018, so apparently the postal service has been collecting data on the BRM and CRM volume by customer, so they're going to have to share that information with customers so that they'll know what thresholds they need to meet in order to qualify for that promotion. Chris: My understanding too, and in one of the webinars with the postal service that they're looking for, repeat participants must be a threshold equating to 95 percent of the volume counted during the same period in 2018 to earn that three cent per piece discount. I'm actually reading this right from their promotions calendar. Yeah. And so two thoughts with that. One is that I guess I'm not too surprised that they were going to put some kind of a threshold on that. You know, it's the classic get people used to it get, get a introduced in terms of promotion and then as people are doing that, start kind of ratcheting up for eligibility on that, particularly in a promotion that's related to volume. They want to see the incremental volume with it. But the other thing that caught my eye, and boy, they really love 95 percent, I seen 95 percent on a lot of things in terms of a threshold these days. And I guess my only comment on that is thank goodness that wasn't what my teachers in college felt. I wouldn't have made it through there with a degree in computer science so that you'll hae a partial credit is a good thing. Anita: Chris, let me just add one more thing about promotions. There are going to be ways to qualify for these promotions that are new so they won't be harder requirements to meet them, but they're giving you more options. And so these are a lot of technologies that we really haven't heard a lot about or the industry may not be aware of. So the postal service is going to hold webinars and I thought the first one was supposed to be mid October, but apparently not. But they're going to share with the industry some of this new exciting technology. Chris: Well that's good. I think that that's important, right. You and I have talked before about mail and millennials and getting brick marketers to spend more of their marketing budget on direct mail, direct mail, still a very powerful part of a multichannel marketing campaign and when you add in things such as tactile, sensory interactive mail engagement, promotions, when you added things like personalized color, trans promotional where it's got, you know, my name on there and it's in color and it's exciting and delighting me when I received that right, or certainly mobile shopping, promotions where I can use my mobile device to connect and relate to the physical piece that I have in front of me. Thereby creating a whole immersive experience with that. I think that's very powerful and I'm glad to hear that they're looking at informed delivery. Again, you know, a lot of our customers at BCC software have been working with informed delivery and their customers to try and leverage that and I know it's still early and we still got a ways to go. And my understanding is the last conversation with the postal service was a little over 8 million email subscribers to that. Certainly it's more to the total amount, but I think a lot of people are really interested in those email subscribers. That's where you get that high touch to high tech connectivity with it, but it's growing and I think it's an interesting thing and certainly something encouraging to talk about. So glad to hear that they've got promotions. You're very interesting on the details with the pricing. Any other final comments on what we're seeing here for 2019, Anita? Anita: I think everybody really needs to look closely at the proposal, especially in the marketing mail category to understand the impact, you know, and I think we just have to keep stressing to the postal service that there is really no reason they can't share their insights ahead of time because for example, the changes in first class that they could have easily warned the industry that these changes were going to take place without giving away too much of, you know, their secrets. So anyway, that's my recommendation is for everyone to take a close look at the proposal. We should know mid November if the postal regulatory commission approves these. So, I think it's the 13th for marketing mail and the ninth for competitive. Chris: Yeah, that was my understanding too, right? Anita: That's the target dates that the PRC has provided to the postal service. Chris: That's right. Okay. Well, we'll have to watch those dates very carefully and the continued conversation, and certainly for our listeners, this is the time of year and we've all been through this before. It's absolutely vital that you continue to stay connected and informed with your software providers, with the companies that you're working with. Make sure that you're aware of what the changes are and for our BCC Software customers, you can be assured that we already begun working on the technology to be compliant with this. Our goal is always to get the software into our customer's hands at least two weeks prior to the required implementation date. We know that many of you prepare mailings in advance, so stay tuned to future podcasts. Continue to visit our webpage, work with your software provider or your partners in the industry to make sure that you're well informed as we continue to work through what is a very complex re case. Something that we weren't anticipating initially, but something certainly that could have some impact to your business. Chris: Anita, thank you for all the great information. You have a great day. Chris: Thank you and again, thanks to our listeners, we really appreciate you taking time to listen to the podcast. If you have any questions, please visit our webpage or give us a call at BCC Software and as always, we'd like to know how can we help? Have a great day.